Do you have a highly-sensitive child? Are you a highly sensitive person? Julie Bjelland and Hunter discuss in this episode what it feels like to be an HSP and how it often appears to others. 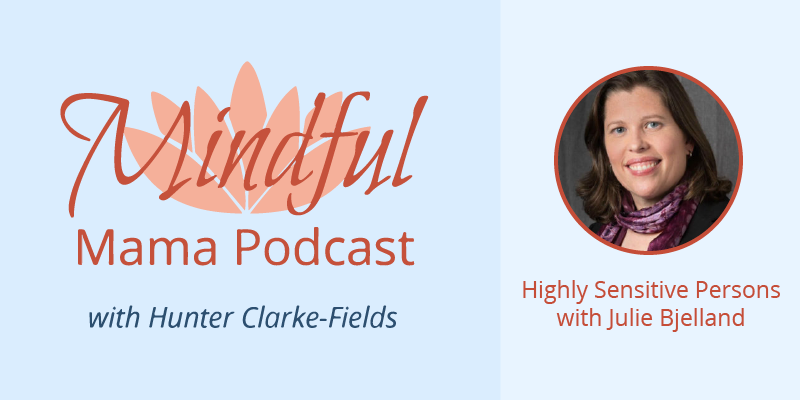 She talks on the topic of how to mindfully parent the highly sensitive child. Many of us walk around with masks on, hiding our sensitivities from the world around us. Ways the highly sensitive person can reduce anxiety and stress and why it’s so important. How we parent makes a HUGE difference in relationships and communication with highly sensitive children. Julie Bjelland is a licensed psychotherapist, author of several books, and mother of two. She teaches online brain-training courses for the “Highly Sensitive Person” trait. You can connect with her on FB here!